In the 80's it was in style for girls to wear suspenders and to be honest I still think it is kind of cute. 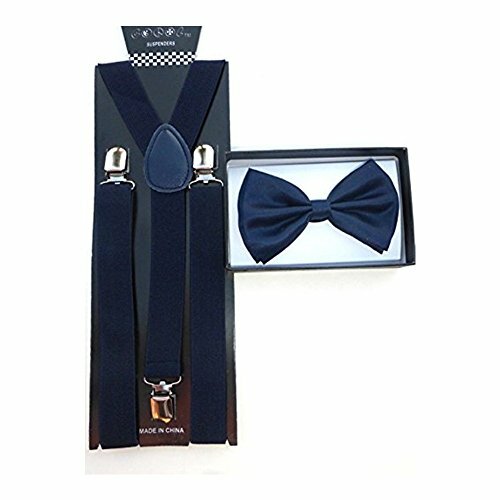 If you are dressing up, in dance, going to a party, or just want to be fashionable you can stick on a pair or suspenders and bowtie which can be worn in the hair if you would like in a matter of minutes. Cute and available in lots of colors. Easy to use suspenders and versatile bow make this set very cute. You can find the suspenders and bowtie on Amazon in many colors. 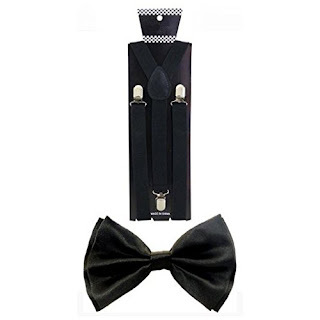 Classic Y-back style clip adjustable elastic suspenders. Designed with adjustable elasticized straps and clasp fasteners, easy to put on and take off. No more falling pants! Comes with matching colour bow tie. Great gift set. Highly fashionable and great for parties, weddings, costumes, theater and prom.